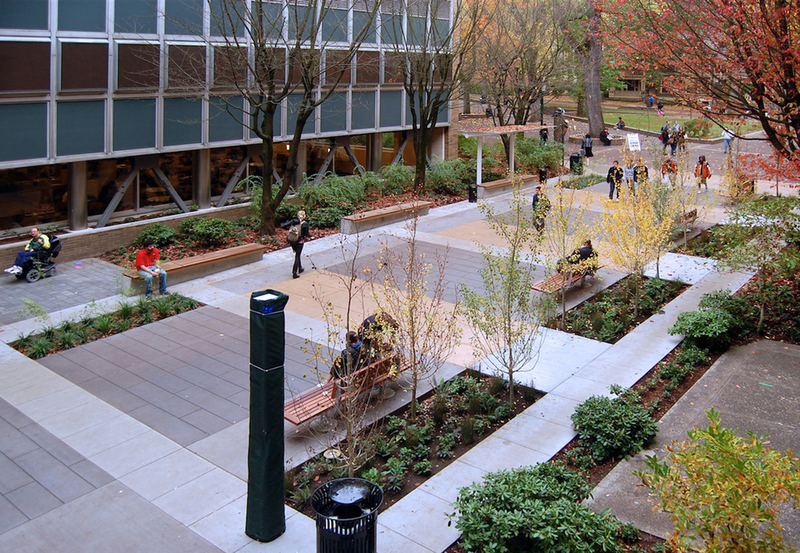 Located at the heart of Portland State University, the existing spaces on each side of the student union were re-imagined as active pedestrian plazas linking the center of campus to Broadway Avenue. 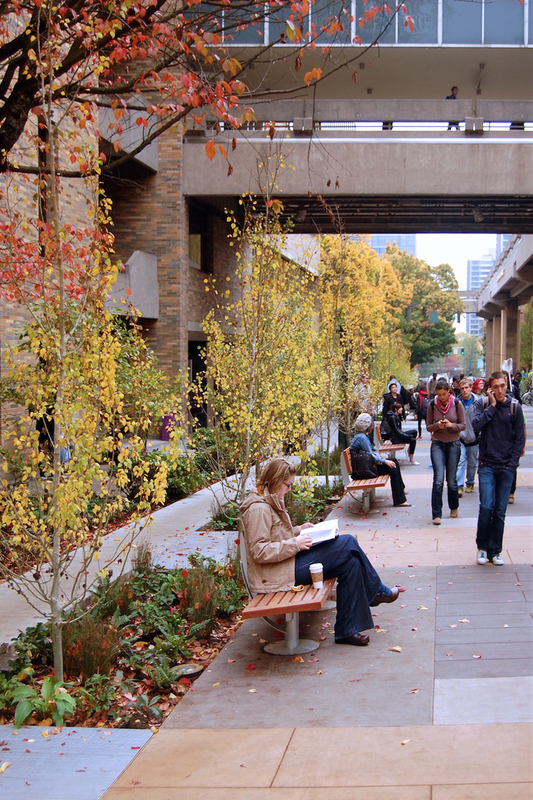 Complicated by a conflicting use as loading dock and service access for the student union, the design re-establishes the pedestrian experience as the primary use while discretely allowing service vehicle access during off hours. 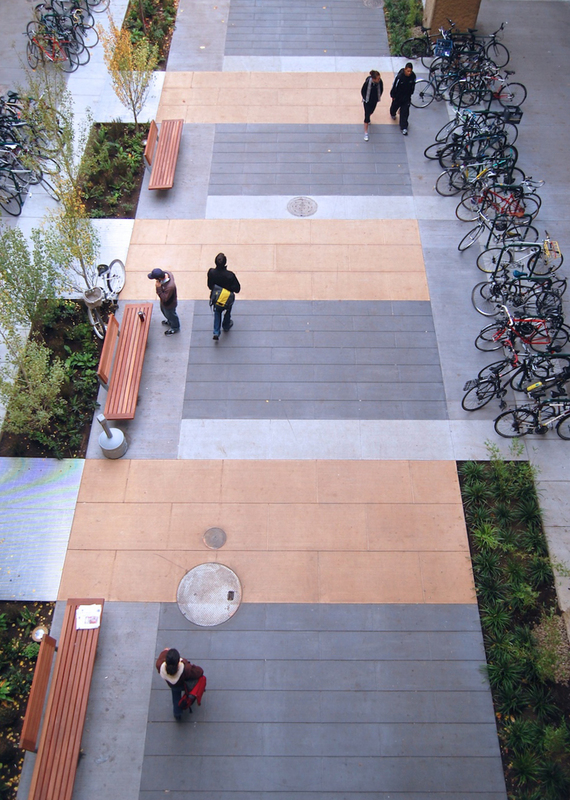 New paving adds color, scale, and rhythm, while integrated seating, kiosks, and lighting activate the space. 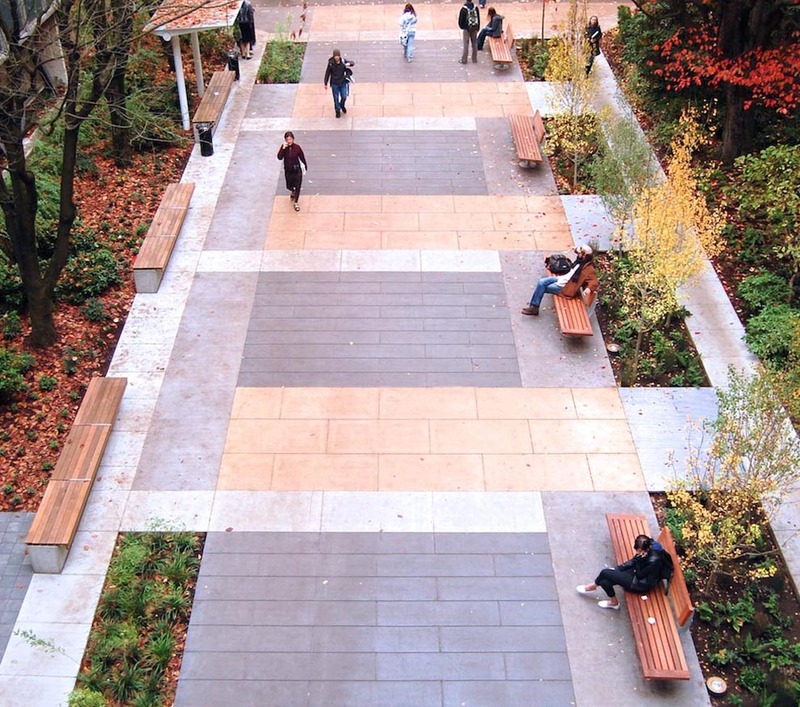 A stormwater infiltration planter runs the length of the plazas, with metal grate bridges allowing pedestrians to cross over the landscaped spine.